I will not go down the rabbit hole. I will not open those old seed catalogs from 1926, 1931, and 1933, given to me by the Hoosier Gardener. I will not open them. Well, I will just open them a little and take a peek inside. That won't take much time. 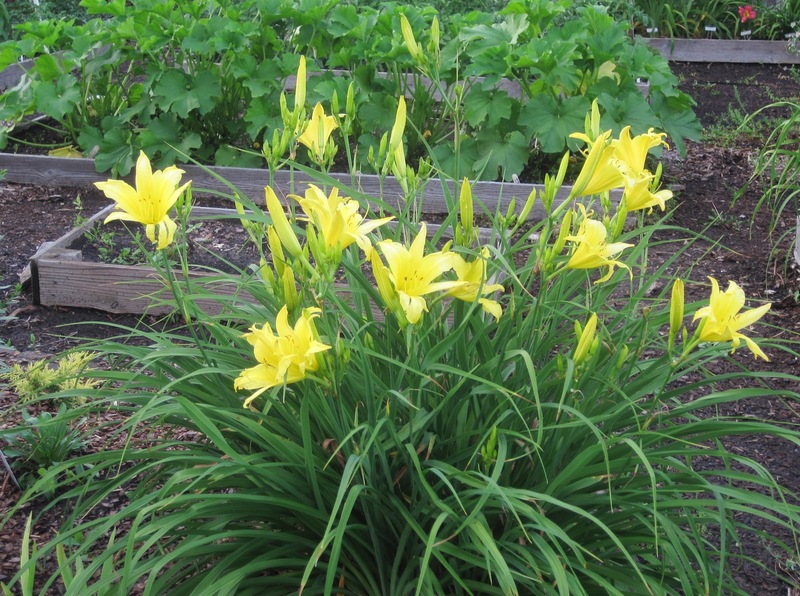 Did you know that in 1926 you could purchase three plants of Hemerocallis 'Kwanso fl. pl.' for just 85 cents? Goodness, that's just the double form of the old common ditch lilies, H. fulva. I know where I could get some of those today if I wanted some of them. For free. They are great passalong plants. You could also buy three Hemerocallis flava plants for 65 cents in 1926. 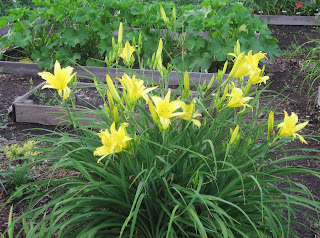 The common name for this daylily was Lemon Lily. I'm not sure where you'd buy this one today or find one. I did a quick search and came up with nothing. I think the oldest daylily variety I have in my garden today is 'Hyperion', which dates back to 1924. I can't remember where I bought it, but I'm pretty sure I bought it because I have a tag for it. Well, I did have a tag for it at one time. I wonder why 'Hyperion' isn't listed in these catalogs? Was it too scarce at the time, since it had only been around for two years when the one catalog was published? I do like it in my garden. In another catalog, the one from 1931, you could buy the H. flava and the H. 'Kwanso fl. pl.' for 30 cents each. According to one online inflation calculator, all else being equal, those plants would be $4.54 each if you bought them today. At that price, the sales tax alone, at least in my state, would be 32 cents. I should put away these catalogs for now and pick them again this winter. Winter is rabbit hole time. Not early summer. Yes, I should put these catalogs away. Well, I will put them away right after I look at the list of books for sale in the one catalog. I will not look up these old books to find copies today. Someone pull me out. I have gardens to water, flowers to deadhead, weeds to pull, a bloom day post to write. I have no business going down in rabbit holes during the growing season. Love looking at old seed catalogs too! The descriptions of the flowers are so different too then what we find today. I am having a giveaway for some of my iris if you are interested. It's cheaper then 85 cents even! I have been down that hole many times. Just enjoy with no guilt. One learns so much when distracted. I love looking at old garden catalogs.I think back at my mother's flower garden. I did not appreciate it when I was a child. I wish I had it now. I love to look at the old garden catalogs. It remids me of my mother's flower garden. I did not appreciate it as a child. The old daylily varieties are so wonderful. They obviously can stand the test of time in a garden. The 25 I got from my neighbor were all oldies, including Kwanso and Hperion and many others now lost to commerce. They don't have the ruffled edges like the ones now do, but they are faithful bloomers each and every year, sun or shade. That rabbit hole is worth falling into.